More like GOODLAND, right? Right?! Here's a juicy confession: I really enjoyed BADLAND when it was first released on mobile devices, like, a hundred years ago or whatever. Great game, great artwork, just great all around. Not too long ago, BADLAND: Game of the Year Edition was announced for PC and consoles, hauling with it some neat upgrades, including a full-on co-op mode. Excitement mode... engage! After a little more time cooking in the oven, BADLAND: Game of the Year Edition is finally ready for the world. The game releases May 27th on PC (via Steam), PS4, PS3 and Vita. Xbox One users have to wait two days to get their hands on the game, whereas Wii U folk will need to be a little more patient for an expected June release. 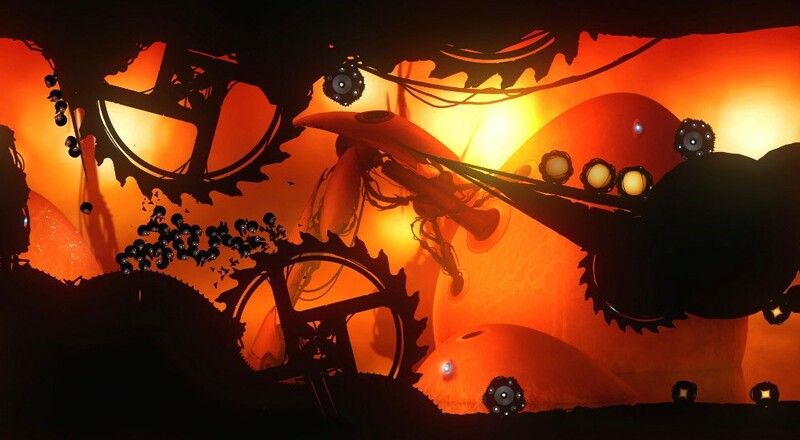 The idea behind BADLAND is you're a little bird thing that was tossed out with the rest of the garbage. Gameplay is a cross between an endless runner and a platformer, though because your bird character is such a weirdo, things get crazy pretty fast. Crazy as in you can change size, splatter into dozens of copies of yourself, and so on. You'll need to use all of that craziness to survive a world of tilting platforms, sticky cockleburs, sharp fan blades and exploding plant things. The Game of the Year Edition includes over 100 single player levels and 100 local co-op levels for four players.